Did the Madoffs really try to commit suicide? 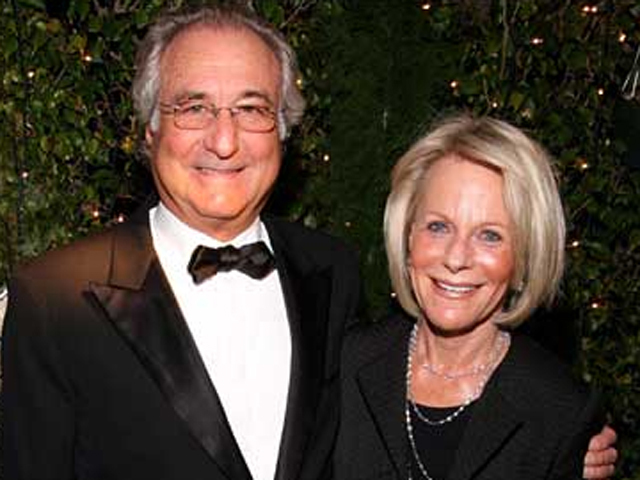 In a recent interview with "60 Minutes" that will air Sunday, Bernie Madoff's wife, Ruth Madoff, claims that she and her husband -- the man who orchestrated the largest Ponzi scheme in U.S. history -- tried to commit suicide by taking sleeping pills. In the report, the Madoffs' son, Andrew, supports Ruth Madoff's statements. Yet some who know Madoff, aren't buying it. Steve Fishman, contributing editor of New York Magazine, told CBS News, "Personally, having spoken to Bernie for a long time, he's not really the type to commit suicide. But, I understand that they would have thought about it, they might have even impulsively thought deeply about it." Diana Henriques, senior financial writer at the New York Times and author of "The Wizard of Lies: Bernie Madoff and the Death of Trust," has been in contact with Madoff in prison and said on "The Early Show" Thursday that he wrote to her that suicide did cross his mind in the wake of his son Mark's suicide in December 2010. Henriques said, "He acknowledged only that it crossed his mind, but he gave an elaborate explanation for how he thought by staying on, he could help collect more assets for the victims and that he couldn't abandon his family. Now, of course, we see that, you know, the damage done to his family is irrelevant to whether he was still around or not." "Do I believe Bernie? You got to take that with a big grain of salt," Henriques said. "... Ruth is a different matter. I think this (interview) is a very good barometer for what kind of emotional state she was in in those weeks and months after his arrest, so I do find it credible that she attempted suicide and then regretted it. Suicide has been a dreadful theme in this family's life. We know now that her son Mark attempted suicide at least once before he succeeded, so I think, looking back now, she is glad that she didn't succeed, but I think it did show us how much emotional pain she was in at the time." "Early Show" co-anchor Erica Hill noted Andrew Madoff has released a book. So is Ruth's interview just to help sell books? Ruth Madoff, Henriques said, is trying to repair her relationship with her son. "Her son wanted her to participate in this publicity," she said. "I think he genuinely feels the public will help get to know her better. But certainly, she preferred to stay in seclusion, no doubt about it. " You with see the entire interview with Ruth Madoff and Andrew Madoff on "60 Minutes" Sunday night on CBS.